With the August 10th, Jackson’s MMA Series XI event rapidly approaching, SWFight.com has come up with a new way to showcase some of the more interesting aspects of the event’s storied history. While we have already named one of the Jackson’s Series first ten events as one of the best six New Mexico MMA events and listed the “Ten Best Moments” from the series, we thought that the promotion had enough extensive culture that we could list some notable numbers involving the series before the eleventh event. The Jackson’s MMA Series (JMMAS) has spanned TEN events in a 28-month span that has been host to nearly ONE HUNDRED (94 to be exact) professional and amateur MMA bouts. In those bouts fighters on the JMMAS have gone on to become UFC, Strikeforce, WEC, Bellator, Pride and Invicta fighters. Of the successful bunch, JMMAS VII headliner Michelle Waterson went on to capture the Invicta World Title making her arguably the most successful current MMA fighter. The JMMAS XII event had the least amount of fights with SEVEN and the JMMAS II, IV, & IX events all featured the most fights on one fight card with ELEVEN. There were THREE events in 2010 & 2011, while 2012 was the busiest year for the promotion with FOUR events. Of the ten events, EIGHT have been inside the Hard Rock Casino (now named Isleta Casino) and the TWO most recent events were held inside Tingley Coliseum. The JMMAS II event should have been labeled “Knockouts” as it was the event with the most knockouts with FIVE in total. 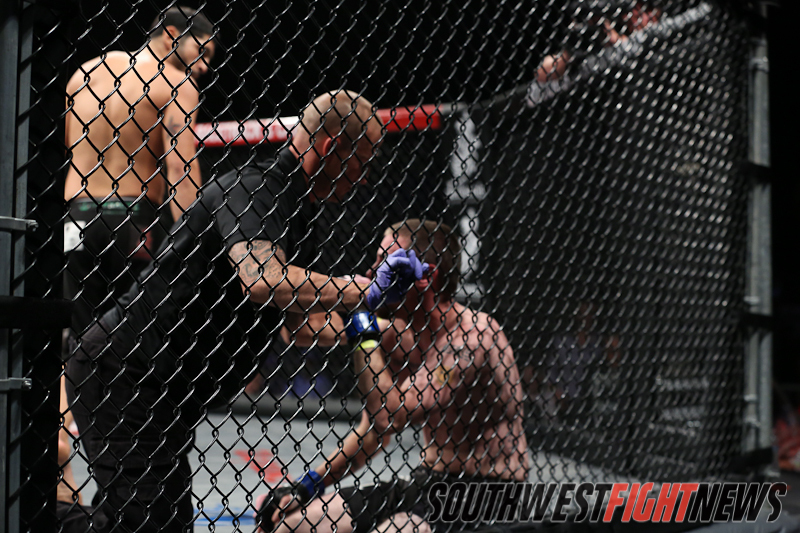 From the Main Eventer “OX” Wheeler down to Adam Soto in the evening’s opening fight, the event was full of stoppages. If that show was all about the finishing ability of punchers, the JMMAS V was an event for the grapplers. That show totaled SIX grappling based submissions (mostly rear-naked chokes). The JMMAS VIII & IX also had SIX submissions but one on each card was submission due to strikes. The JMMAS VII was not an event for fans of heavy hitters. ZERO bouts ended by way of knockout. The JMMAS I & X events ended up being long nights of decisions, each event totaling FIVE and the most submission absent event was the JMMAS X which was a night that featured only a Jon Sparks triangle choke to entertain the fans of the submission. In terms of random yet intriguing facts, the JMMAS I is the lone event not to have ONE single fight end in the FIRST round. Adding to that irony, the JMMAS II did not have any fights ending in the SECOND round. Julie Kedzie represents the FIRST Woman’s MMA fighter to compete for the JMMAS on the FIRST ever event and that event was headlined by Grudge MMA’s Jennifer Moran and California’s Natasha Creger. There has been FOURTEEN Women MMA bouts in total, THREE of which were headline fights. Kedzie and Waterson were the other headliners. Matt Leyva is the only fighter to fight for both the FIRST ever JMMAS and the most recent show making him the longest tenured fighter in terms of time. Leyva also has the most fights, totaling FIVE in which he went 4-1 in that run. Leyva fought for the JMMAS I, II, VI, VIII & X. Falling right behind him with FOUR total fights, Hunter Tucker has gone perfect in his JMMAS career. More impressively, Tucker appeared in FOUR consecutive events. Julie Kedzie and Emily Kagan are the TWO most successful WMMA fighters with the successful duo fighting THREE times each. Both have ZERO defeats in those bouts. Joey Villasenor is the most successful main event fighter as “Smokin’ Joe” is perfect in TWO headlining appearances. Las Cruces native Nate Patterson may be arguably the most successful non-Jackson/Winklejohn fighter to have competed for the JMMAS. Patterson has TWO wins and ONE loss, all of which came against fighters from the host gym. In NINE of the JMMAS events, there has been a headliner representing the Jackson-Winklejohn gym and in those bouts the home fighter has won SIX and were defeated THREE times. Technical knockouts have ended FOUR main event fights, THREE have ended by submission and THREE by decision. ONE fight ended due to an injury stoppage, the main event fight at JMMAS IX where Frank Gomez suffered damage to his eye from an elbow. There were TWO submission methods that have only been executed ONCE in the TEN events. Armando Montoya Jr. hit a slick Brabo Choke back at JMMAS VII and Andrew Tenneson finished a heel hook against Sammy Silva at JMMAS VIII. Henry Martinez may have the honor of most unique submission which took place back at the JMMAS VII where he locked Ali Hanjani in a reverse triangle choke. The win would be Henry’s SECOND for the JMMAS and would propel him into the UFC. 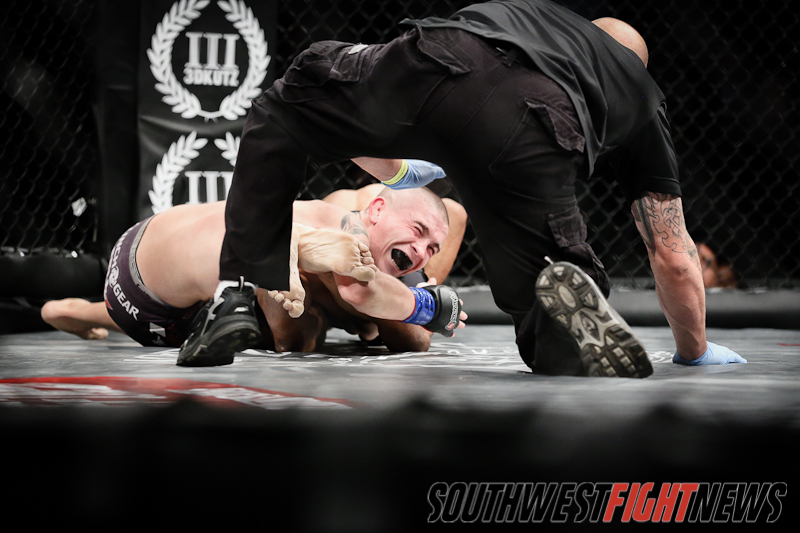 In terms of individual accomplishment, the fastest knockout in nearly ONE HUNDRED fights occurred at JMMAS VI when Adam Gonzales finished Fabian Salas in SIXTEEN seconds. Ricky Esquibel holds the JMMAS record for quickest submission at FORTY-FOUR seconds in a fight with Chris Brewer back at JMMAS 9. The lengthiest fight went TWENTY-FIVE minutes in a FIVE round professional bout between Julie Kedzie and Kaitlyn Young in a fight that was awarded to Kedzie via a Judge’s Unanimous Decision. With TWENTY-TWO knockouts and FORTY-ONE submissions, the JMMAS has seen a finished fight SIXTY-THREE times which compares to THIRTY-ONE decisions. The finishing rate of the TEN events is an impressive 67%. 118-47 is the record of the winning fighters from the main event while the losers of the headlining act have a combined record of 121-94. The title of most experienced fighter to compete for the JMMAS is a close race between Tony Lopez with FORTY-FIVE career fights and Chuck Parmelee who has competed FORTY-EIGHT times in his career. *Disclaimer* – All of these statistics are accurate up to the publishing date of this article and have no definitive meanings, rather just a fun and statistical way to break down the Jackson’s MMA Series. Stay tuned to SWFight.com for more unique perspectives and features as well as the Jackson’s MMA Series XI event coverage, fight breakdowns and analysis. Make sure to mark down August 10th on your schedule to come out and support the event and all of our local, hardworking athletes.